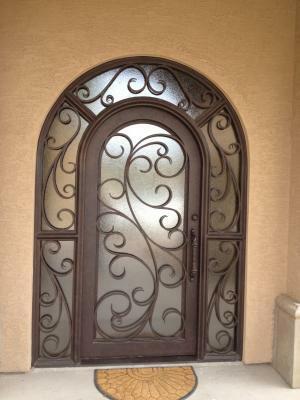 Signature Iron Doors installs another door in La Quinta! Come to Signature Iron Doors for the highest quality gates, railings and entry doors! We aim to please. Please visit our website and see the quality that we produce.